"The Kit Kats you find in American stores offer a quick fix of chocolate and crispy wafers. 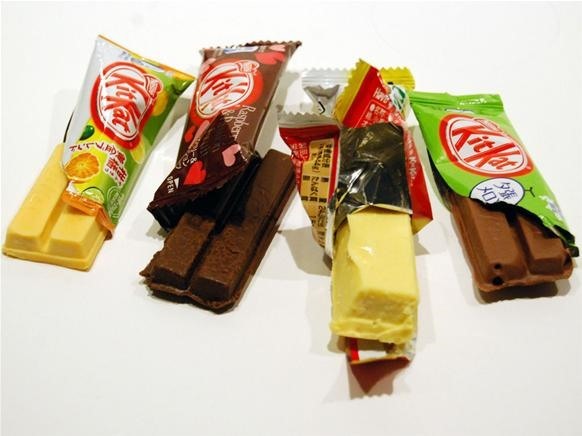 But in Japan, Kit Kats go far beyond chocolate, with flavors like ginger ale, soy sauce, creme brulee and banana. NPR's Lynn Neary talks with Tokyo-based reporter Lucy Craft about the unique candy market in Japan." Easy on the Waistline: June the Homemaker’s Favorite Low-Calorie Foods! News: I heart your web page! News: Well, here I am!